Most of us do not know how to properly write a resume and we often make the mistake of assuming that we can easily get away with our lack of resume writing skills. Yes, it might be a page or two, but the importance of a resume when it comes to job application cannot be overemphasised. Through your resume, your potential employer should be able to gain a glimpse of your professional history to be in a better position of landing a job. To make this a possibility, you need to ensure that your resume is consistent, concise and legible so that it can attract readership. Throughout the web, you can find conflicting recommendations of how exactly to write a resume. There are some sources that will tell you to include a summary on top, others require your personal interests, whereas others do not seem to agree on whether a resume should be a one page or two page document. Regardless of these, all you need to understand is that a resume should be well written so as it can create a good first impression. Infographic: What Should Your Resume Contain? The contact information is not the most noticeable part of your resume. It only contains your name, address, and other personal details. Most job hunters neglect this part, since it's easy to write and they don't consider it as relevant as the experience exposed in the rest of the resume. Don't make that mistake! The potential employer will definitely pay attention to the way you've written and formatted this section. The headline is also important, since it shows why and how you're suitable for the job. Then, it's time to show off your experience. This is the hardest part to write, but it's not impossible to structure it if you follow the instructions from the infographic. Once you get that right, it will be easy to continue writing the resume with information about your education. Make sure to follow the universal rules when you structure this section. For example, you shouldn't include the high school if you've attended college. When you're listing your skills, you should choose powerful words that express your capacity. These are not 'dry' words; they should make you likeable for the hiring manager. Then, you should include an Extras section, where you'll list different certifications and social media profiles. 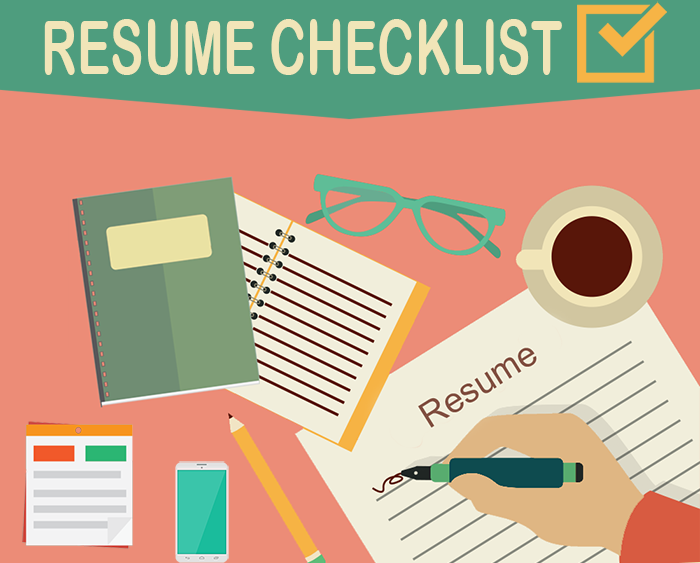 Whether it is your first time writing a resume or you simply want to update an older one, the following Resume Checklist by EssayMama writing service should be your main concern. Include everything that is listed on the checklist together with all the relevant information and you'll be spot on with your resume.